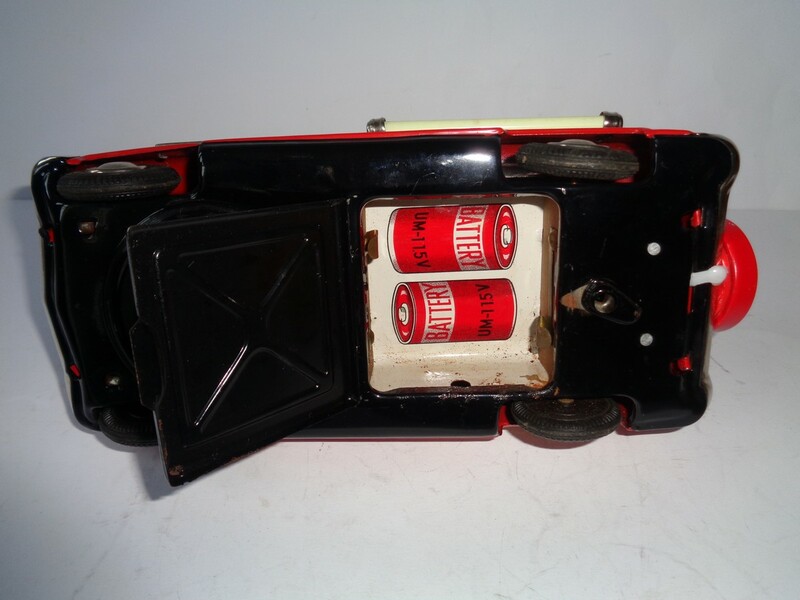 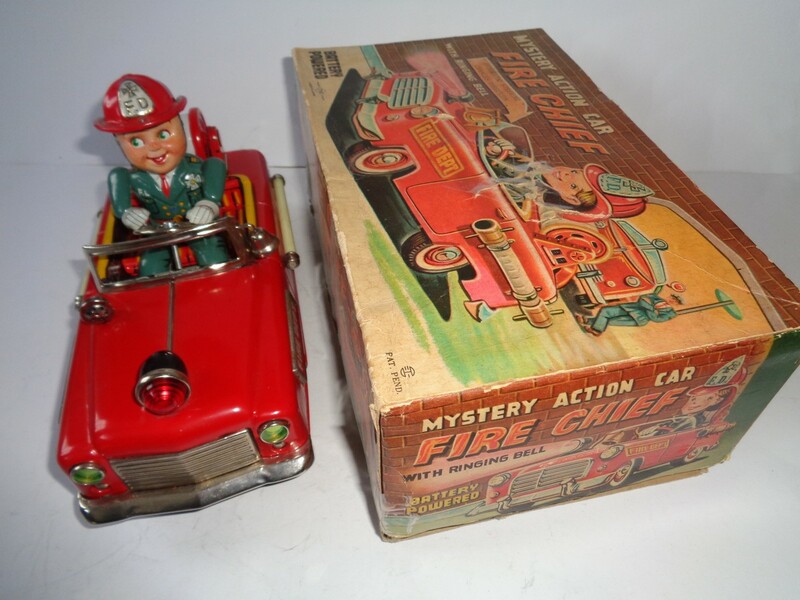 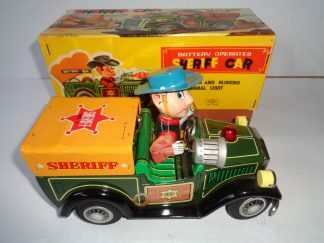 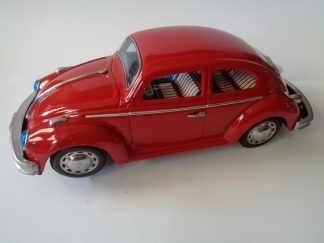 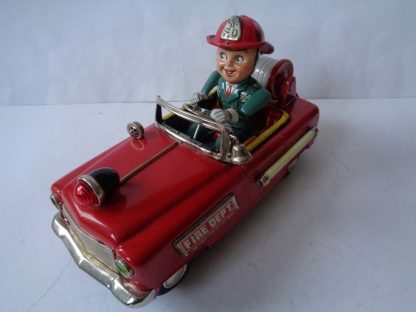 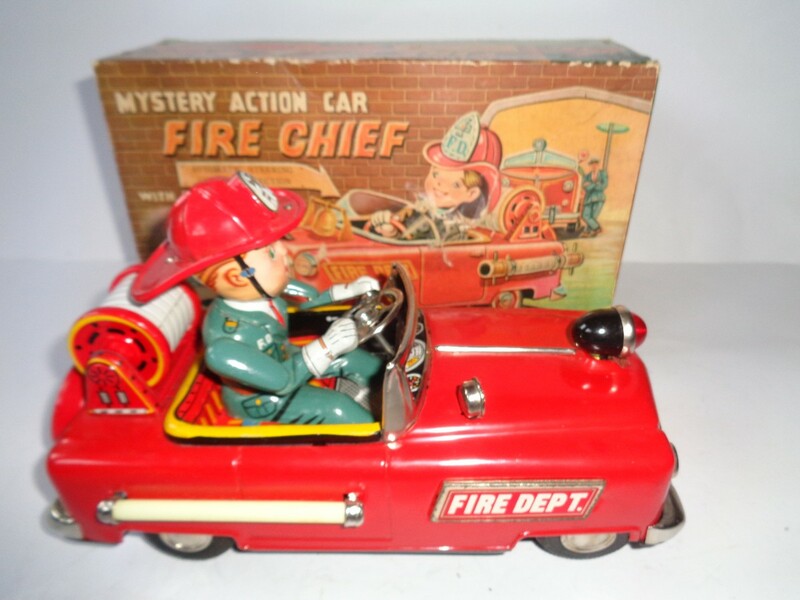 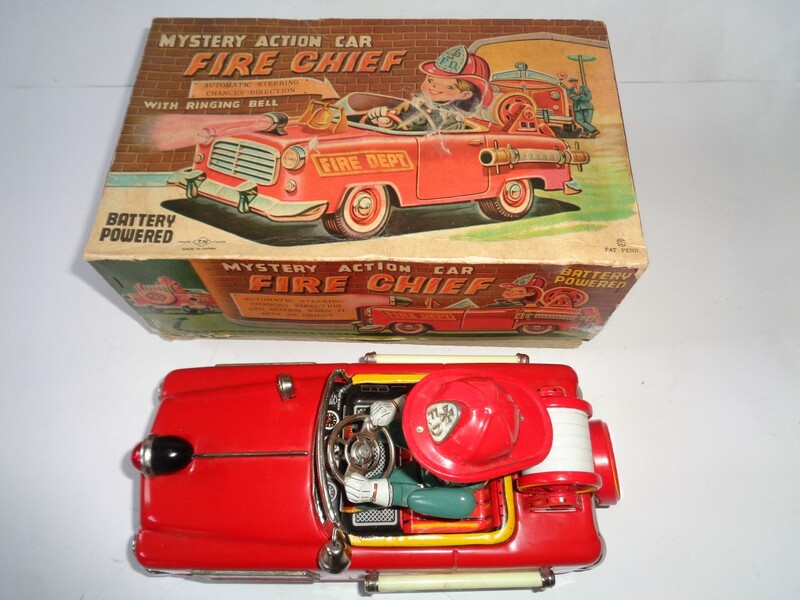 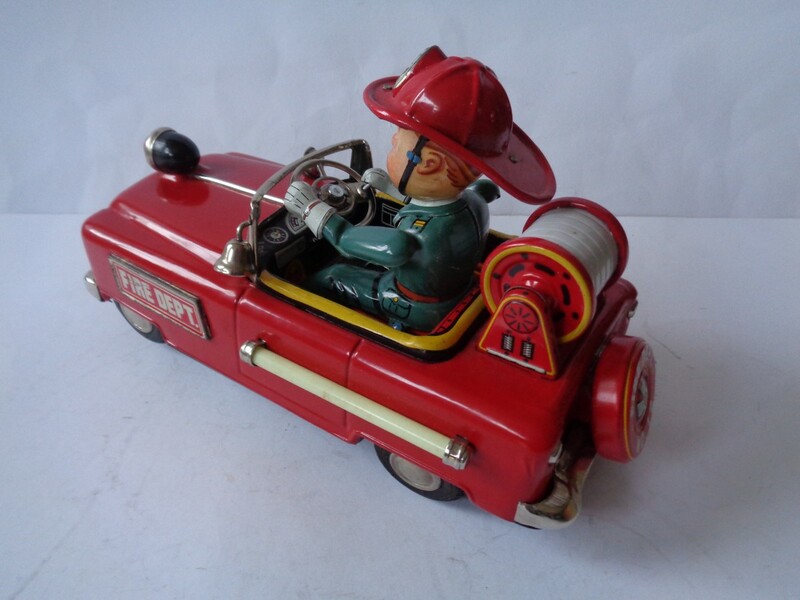 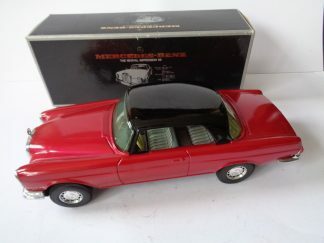 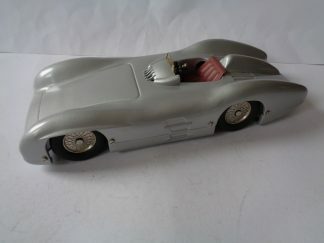 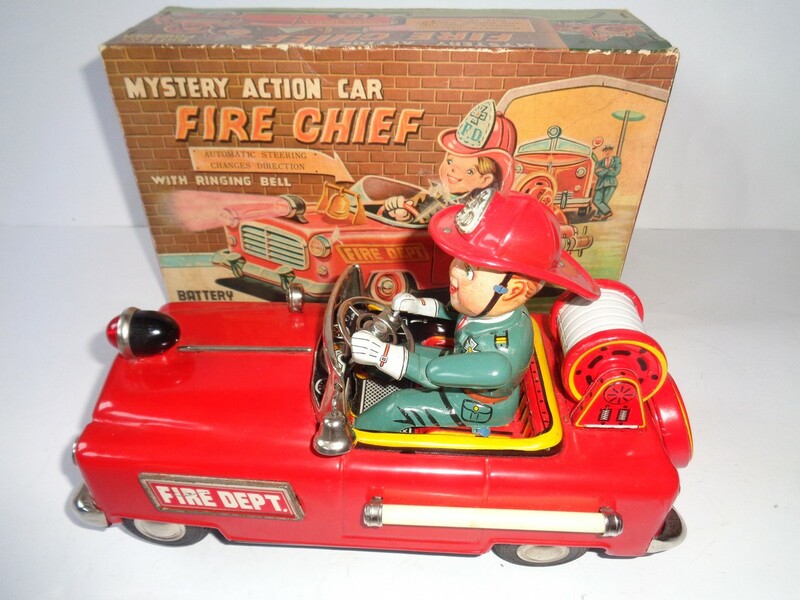 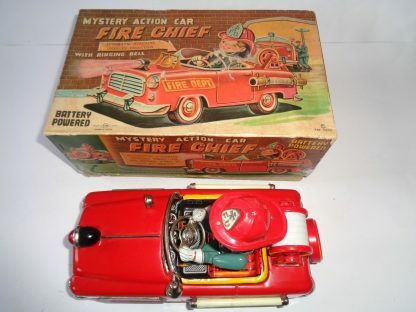 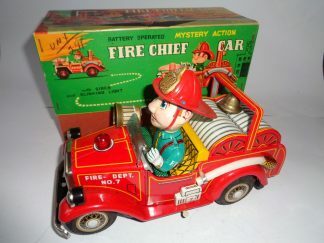 A very nice Fire Chief Mystery Action Car. Only steering is not working. 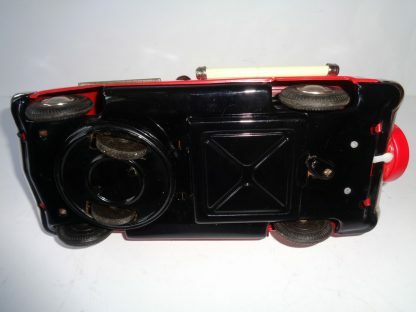 Car in nice condition, Box has some damage.